Byron "Low Tax" Looper, the man who murdered state Sen. Tommy Burks in 1998, was found dead Wednesday (June 26) in his prison cell at the Morgan County Correctional Complex. The Tennessee Department of Correction officials said the 48-year-old was found unresponsive in his cell at approximately 10:10 a.m.
Corrections Commissioner Derrick Schofield has requested the Tennessee Bureau of Investigation to assume the lead in the investigation into Looper's death. Looper, a former Putnam County property assessor, was convicted of murder in the 1998 fatal shooting of Burks as he sat in his pickup truck near his Cumberland County farm. 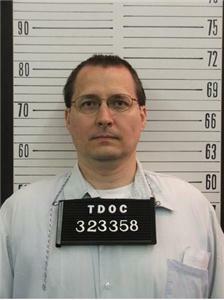 Looper, who legally changed his middle name to "Low Tax," was sentenced to life in prison without parole. Burks's widow, Charlotte Burks, was elected to fill her late husband's seat and still serves in the Senate.